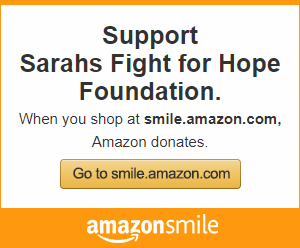 A compassionate group of young leaders who are the peer to peer ambassadors of Sarah’s Fight for HOPE Foundation. Sarah’s P.A.L.S. conduct a monthly meeting involving high school student volunteers. These students organize, fundraise, inspire and increase awareness as they raise money for Sarah's Fight for HOPE Foundation. This group is actively involved in our gifting program and are matched with a child battling cancer to inspire, bring smiles, HOPE and build long term relationships. Simply sign up for our volunteer text list!